Mmmmm…s’mores. 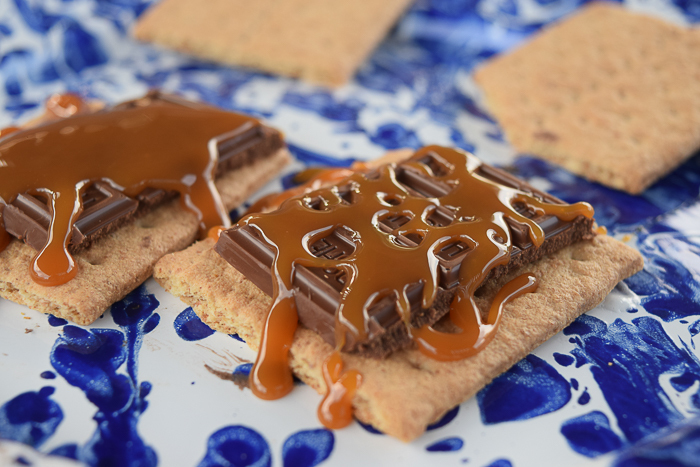 Caramel lovers, this one’s for you. While it doesn’t have the wow factor that peanut butter cup s’mores or Nutella s’more have, this is still delicious. For other unique s’more recipes see the Advanced S’more Making section of this blog. No Replies to "Chocolate Caramel S'mores"